Get ready to see a lot more of Captain Sullivan. TVLine reports Boris Kodjoe has been promoted to series regular for season two of ABC’s Station 19. 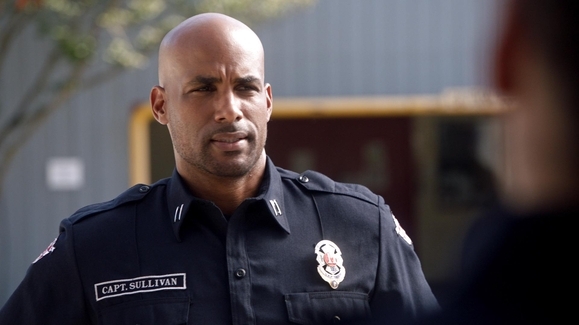 Kodjoe plays Captain Sullivan on the drama, which centers on the crew of Seattle’s Station 19. All of the city’s firefighters are also trained EMTs, and Station 19’s team is the best of the best. The cast also includes Jaina Lee Ortiz, Jason George, Grey Damon, Barrett Doss, Alberto Frezza, Jay Hayden, Okieriete Onaodowan, Danielle Savre, and Miguel Sandoval. Station 19 airs on ABC on Thursdays at 9 p.m. ET/PT. What do you think? Do you watch Station 19? Do you like Captain Sullivan? More about: ABC TV shows: canceled or renewed?, Station 19, Station 19: canceled or renewed? i love this show…..the new cap. is a little rough around the edges but we will see how he plays out…overall , i just love the show and the cross over with grays !!!! I’m so happy! I loved him in Code Black and he’s great in Station 19 too. And very easy on the eyes! Handsome man in a good role on a good show. Happy TGIT!